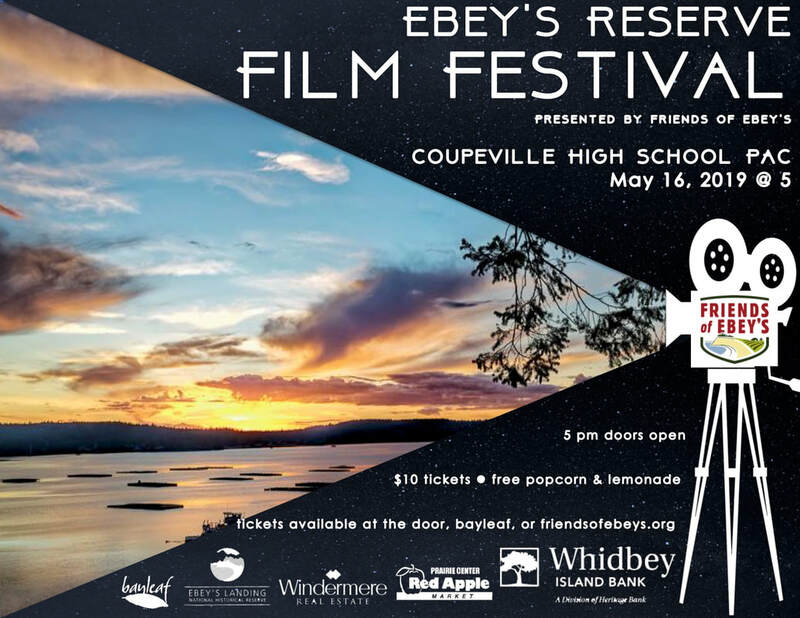 2019 Ebey's Reserve Film Festival Tickets Available Now! Friends of Ebey’s will be showing films made during the Trust Board’s Ebey’s Reserve 50 Hour FilmSlam on the big screen at the Coupeville High School Performing Arts Center on May 16th from 5-7pm. ​$10 general admission includes lemonade and popcorn. Of course, all proceeds benefit Ebey's Landing National Historical Reserve. All of the featured 3-6 minute films were written, filmed and produced in 50 hours on the Reserve in early April. We were impressed that people of all ages participated in the FilmSlam this year for another round of creative, funny and thought provoking films. A People’s Choice Award will also be presented and chosen by the audience, along with a presentation of the Judge’s Choice Award. Each winning film will receive a $500 prize. Tickets are available online and at Coupeville’s bayleaf, bring cash or checks. Call (360) 678-6633 or e-mail info@friendsofebeys.org with any questions. The Friends of Ebey’s Landing National Historical Reserve works in cooperation with the Trust Board and National Park Service to fund projects and programs that protect, preserve and enhance the cultural and natural resources and the visitor experience of Ebey’s Landing National Historical Reserve.